The spring-driven, eight day movement consists of going train only. 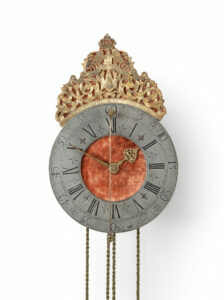 It has anchor escapement and short, silk-suspended pendulum, which can be regulated from the front. 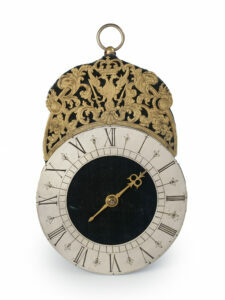 The circular white enamel dial has a Roman chapter ring with five-minute and minute divisions. The dial is surrounded by an engine-turned bezel. The time is indicated by a pair of pierced blued-steel hands. The clock is wound from the front above the VI. The painted octagonal thin metal case of this wall clock has depicts yellow flowers and leaved vines. The backdoor gives access to the pendulum. 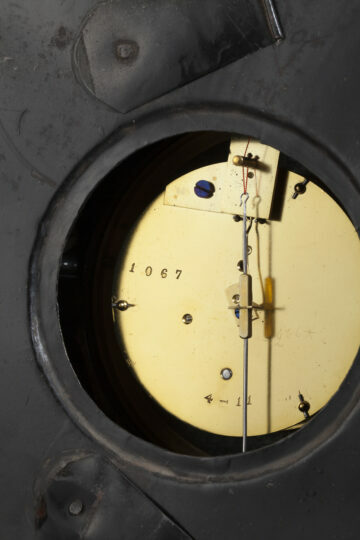 The dial is protected by a convex glass in an engine-turned gilt-brass bezel. 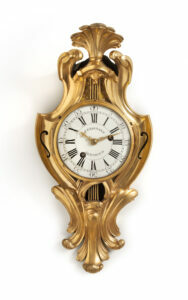 The clock is surmounted by a brass ball with the suspension ring. 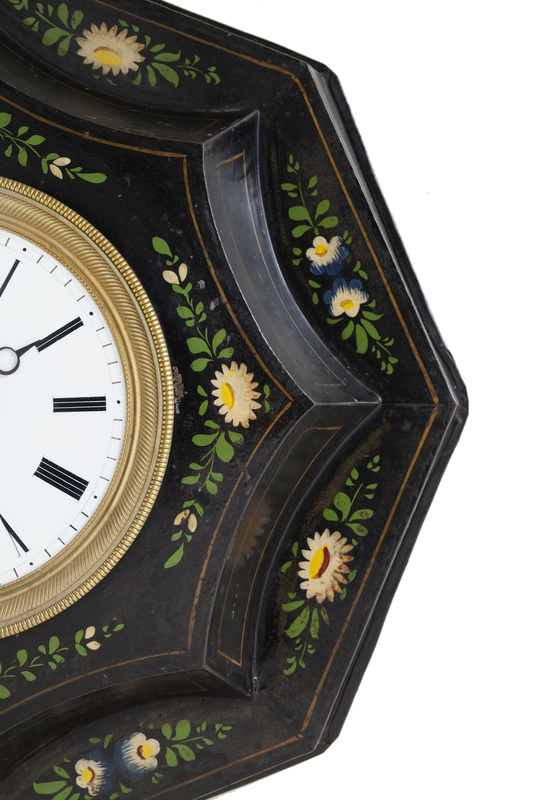 The term Oeil de boeuf (lit ‘bull’s eye’) as a name for a certain type of wall clock is derived from the circular or oval windows which were in use during the reign of Louis XIV in Versailles. 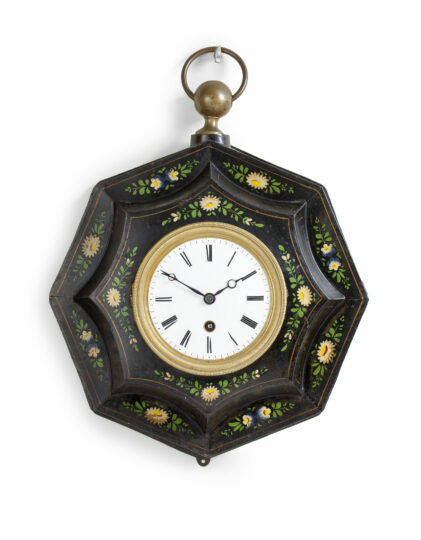 The clocks are usually round, oval or angular shaped in all kinds of variations, often with a wavy edge. The movements are invariably spring-driven with a short pendulum, with and without striking, as is the case here.